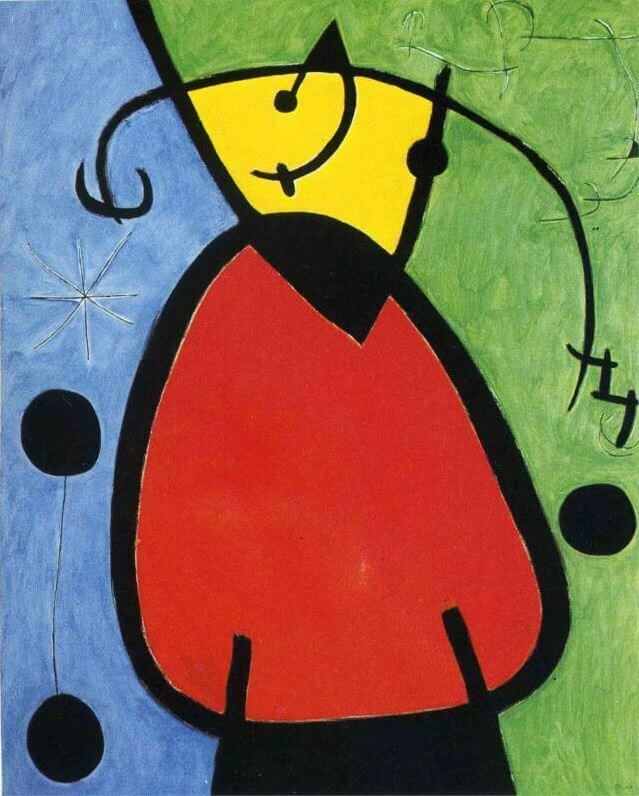 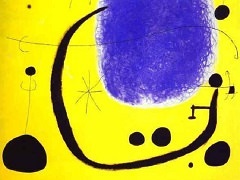 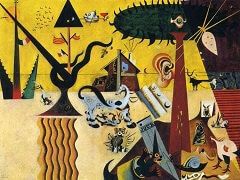 The final years of Miro's artistic career were characterized by an abundant use of black and a loose manner of applying paint to the canvas, which resulted in much dripping and splattering. 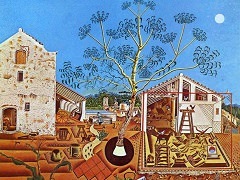 In the seventies, exhibitions of his work became increasingly all over the world. 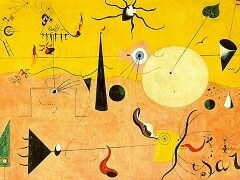 The immediacy of his best paintings today remains inimitable. 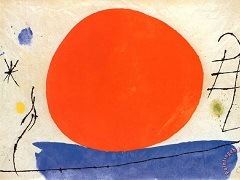 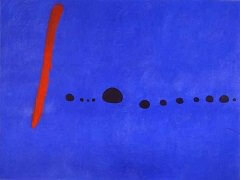 The primal themes he pursued - the earth, the sky, the human personage transformed - and the means he used to express them - compositional simplicity, sure, confident brushstrokes, mainly primary colors - established one of the most important bodies of work in twentieth-century art.